Dr. Srinivas Kota, the lead medical practitioner at Premier Physicians, has spent more than 15 years serving patients in the Bolingbrook, Illinois area. 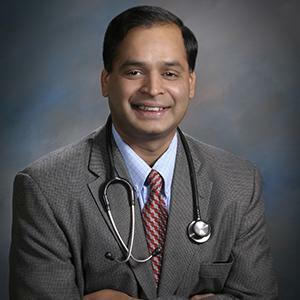 Board certified in internal medicine, Dr. Kota works closely with his patients, using an integrative medicine approach that addresses the physical, emotional, mental, social, spiritual, and environmental influences that can affect their health along with providing access to an on-site medical spa. In this way, Dr. Kota is able to uncover the underlying problems behind any symptoms his clients may be experiencing, enabling them to make choices that directly contribute to a happier, healthier lifestyle. Dr. Kota was trained in internal medicine at Montefiore Center, the University Hospital for Albert Einstein College of Medicine in New York. Additionally, he acquired pediatric training at State of New York Children’s Medical Center. Dr. Kota is fellowship trained and board certified in metabolic, nutritional, and integrated medicine from the Metabolic Medicine Institute from the University of South Florida. His expertise is medical weight loss, personalized and integrative medicine for chronic ailments which are related to hormonal, metabolic, allergic, gastrointestinal and neurological conditions. His goal is to partner with his patients and limit the use of medication while utilizing gentler, natural methods such as natraceutials and a functional approach. Currently, Dr. Kota is on staff at Edwards Hospital in Naperville, Illinois, and at both Adventist Bolingbrook Hospital and Provena, St. Joseph’s Hospital in Elgin, Illinois.